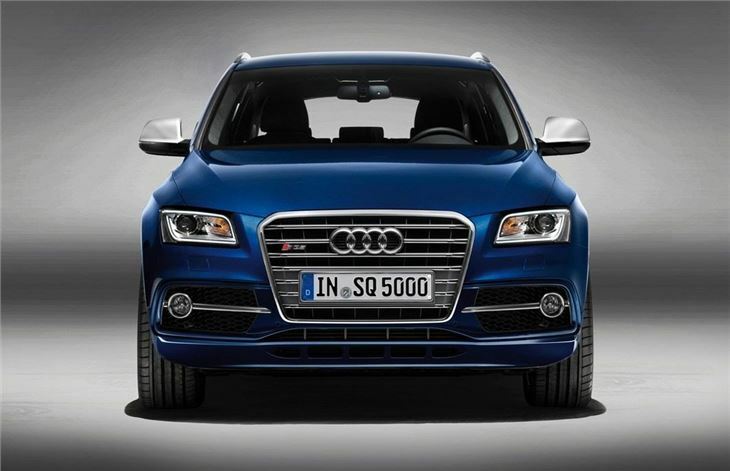 To coincide with its success at the Le Mans 24 Hour race this weekend, Audi has unveiled the SQ5 - the high performance version of the Q5. 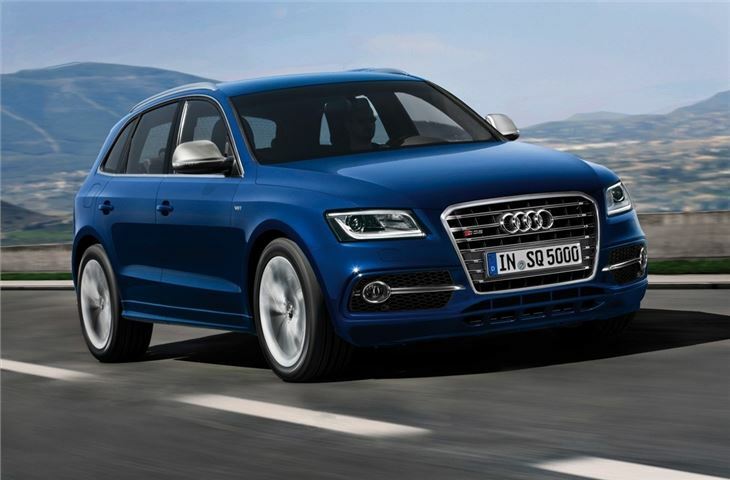 The surprise is that unlike other Audi S models, the SQ5 is powered by a diesel engine in the shape of the BiTDI, recently launched in the A6 and A7 Sportback. It will be available to order from October with prices around £45,000. The bi-turbo diesel engine produces 313PS with a hefty 650Nm of torque available from just 1450rpm so expect strong pulling power. It has an eight-speed tiptronic automatic gearbox as standard - the S tronic can't cope with that much torque - along with quattro all-wheel drive. On paper the performance figures are impressive with 0-62mph taking just 5.1 seconds and a limited top speed of 155mph. 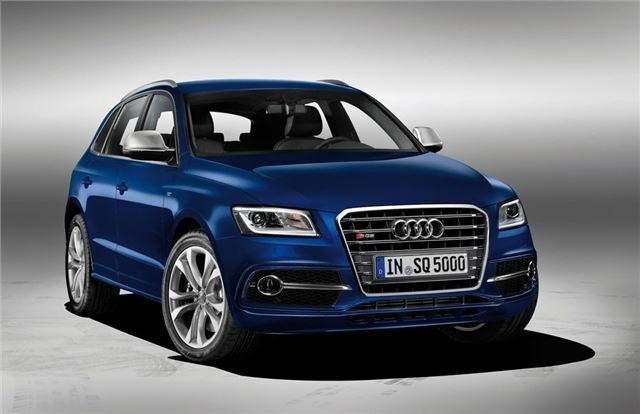 To make the SQ5 sounds as good as other S models, Audi has developed a sound actuator in the exhaust system. It already features on the BiTDI versions of the A6 and A7 Sportback and from our experience it should give the SQ5 a suitably sporty sound. Of course the big bonus of using a TDI engine is economy and thanks to features like a start-stop system it averages a claimed 39.2mpg. 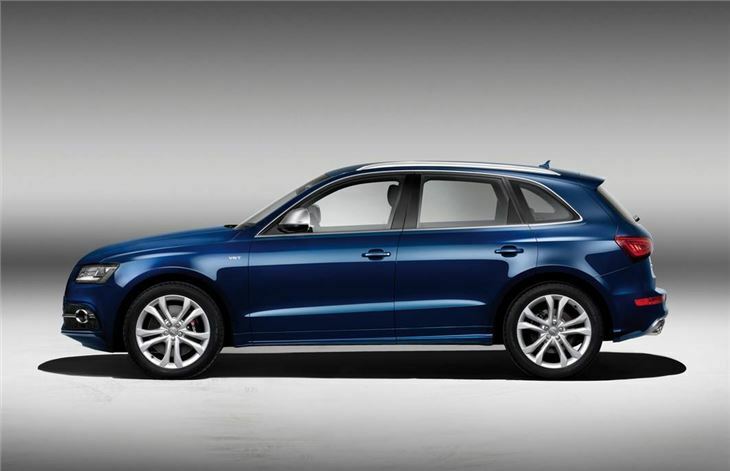 To make it stand out from other Q5 models the SQ5 gets 20-inch alloy wheels with a five parallel spoke design while 21-inch wheels are optional. It also has sports suspension lowered by 30mm. 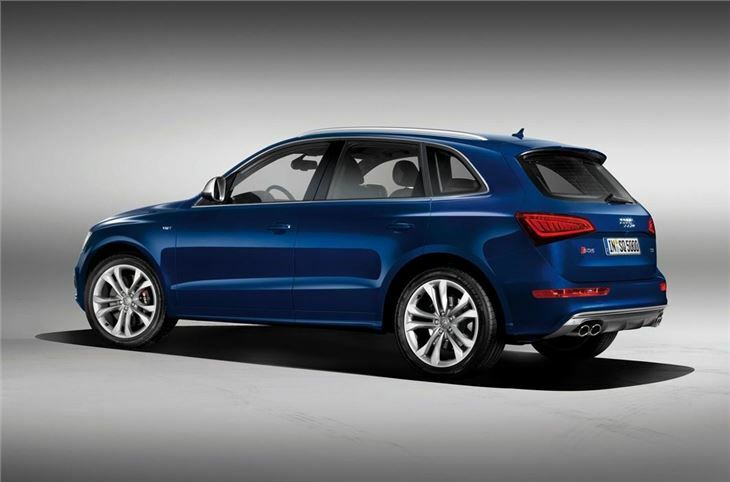 On the outside the SQ5 gets a platinum grey grille, a roof spoiler and modified bumpers. There's a high-gloss package and aluminium-look exterior mirrors while there are special paint colours, Estoril Blue and Panther Black. Inside there are leather seats as standard along with brushed aluminium inlays. Other trim options include Carbon Atlas, Piano finish and new Aluminum/Beaufort wood black trim panels, also available on the S6 and S7 Sportback.